One of the big mysteries in the history of the Earth is the emergence of plate tectonics. When exactly did the processes of plate tectonics begin that today involve the subduction of oceanic plates? Scientific opinion varies widely as to this. The dominant view is that oceanic plates have been pushing under other plates and sinking into the Earth's mantle – a process known as subduction – since the beginning of the Hadean eon, more than four billion years ago. Others date the onset of plate tectonic movements to the Neoproterozoic era of 500 to 1,000 million years ago. This hypothesis is based on the fact that the rock called blueschist began to appear 700 to 800 million years ago. Geoscientists at Johannes Gutenberg University Mainz (JGU) have now shown that the appearance of blueschist is connected to long-term changes in the composition of the oceanic crust and therefore does not provide evidence of when plate tectonics began. The study has been published in the eminent journal Nature Geoscience. Blueschist is a blue-violet colored rock that is relatively rare and is found, among other places, in the Alps, in Japan, and on the west coast of the USA. The oldest blueschist found originated in the Neoproterozoic era and is 700 to 800 million years old. This metavolcanic rock is created during the subduction of oceanic crust. Required for its formation are high pressure and relatively low temperatures of 200 to 500 degrees Celsius. As such conditions have only prevailed in subduction zones in the recent past, blueschist provides evidence of when subduction-driven plate tectonics occurred. The reason why there was no blueschist present on Earth during its first 3.8 billion years is a hotly contested topic among geologists. "We know that the formation of blueschist is definitely linked to subduction," explained Professor Richard White of the Institute of Geosciences at Mainz University. "The fact that the oldest blueschist is only 700 to 800 million years old does not mean, however, that there were no subduction processes before then, as is sometimes claimed," added Dr. Richard Palin. In their study, the two researchers have now managed to demonstrate for the first time that the absence of blueschist in the earliest geological periods goes back to a change in the chemical composition of the ocean's crust in the course of the Earth's history, which in turn is a result of the gradual cooling of the Earth's mantle since the Archean eon. The oceanic crust that formed on the early, hot Earth was rich in magnesium oxide. 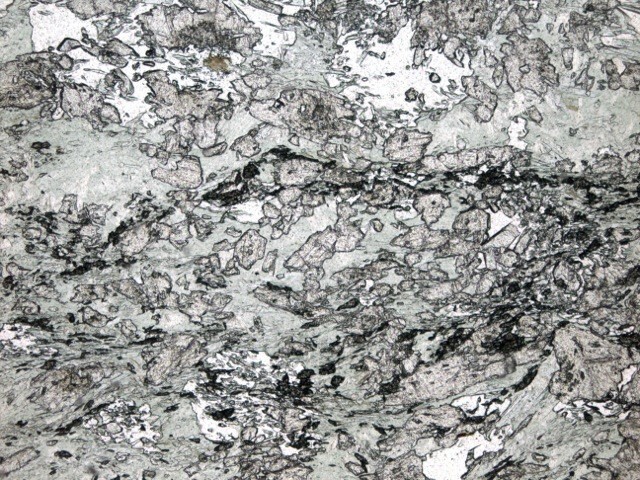 Using computer models, Palin and White have been able to show that it was not possible for blueschist to form from this magnesium oxide-rich rock during subduction. Instead, the subduction of the magnesium oxide-rich oceanic crust led to the formation of rock similar to greenschist, which is a metamorphic rock that is formed today at low temperatures and low pressure. Since these greenschist rocks can hold more water than most blueschist, more fluid was able to enter the early Earth's mantle than today, a factor that has an effect on the formation of magmas, which is one of the topics being studied by the Volcanoes and Atmosphere in Magmatic Open Systems (VAMOS) research unit at Johannes Gutenberg University Mainz. 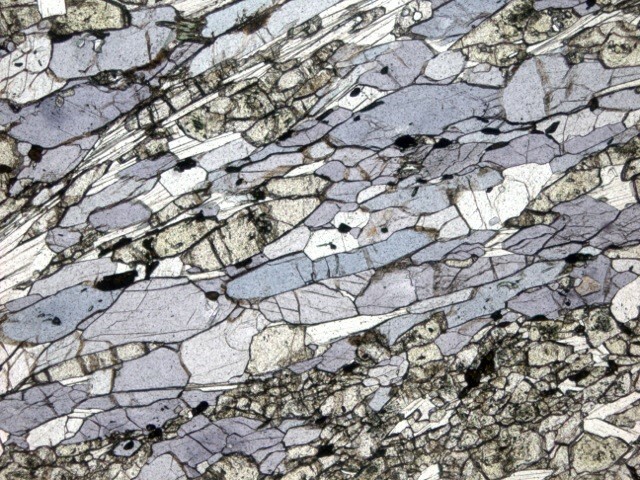 Blueschist is named for its blue-violet color that is due to the presence of the mineral glaucophane. The green mineral in the rock is called epidote. Greenschist takes its name from the actinolite and chlorite minerals it contains. Also present are quartz and epidote.